LOOKING FOR REFRIGERATOR REPAIR TECHNICIAN? When it comes to refrigerator repair, Appliance Handyman team are trained professionals that are experienced enough to identify what could be causing your leak, clog, imbalance or other malfunction. We can troubleshoot your problem over the phone, or come see your refrigerator in-house with a low cost service call fee. We are so confident that we can bring you the right solution that we will waive the fee with any repair. If you are experiencing an issue with your refrigerator we encourage you to call us. We offer FREE consultations for all of your appliance needs over the phone OR send us a message with a picture so that we can best troubleshoot your refrigerator inquiry. Thank you for choosing Appliance Handyman. Rest assured knowing that if you are having an appliance problem we offer a response within 15 minutes of your call, and repair service availability that same day! Call now for a technician near you. Call us for an immediate price estimate and you will know exactly what to expect with your refrigerator repair service. Our prices are competitive and 100% accurate, meaning we guarantee no hidden costs or fees. Providing quick service means nothing if the job is not done right. In addition to fast service and response times, our technicians are trained to solve virtually any problem that you can think of with your appliances. Your refrigerator repair is our number one priority, and we will get it done right the first time. 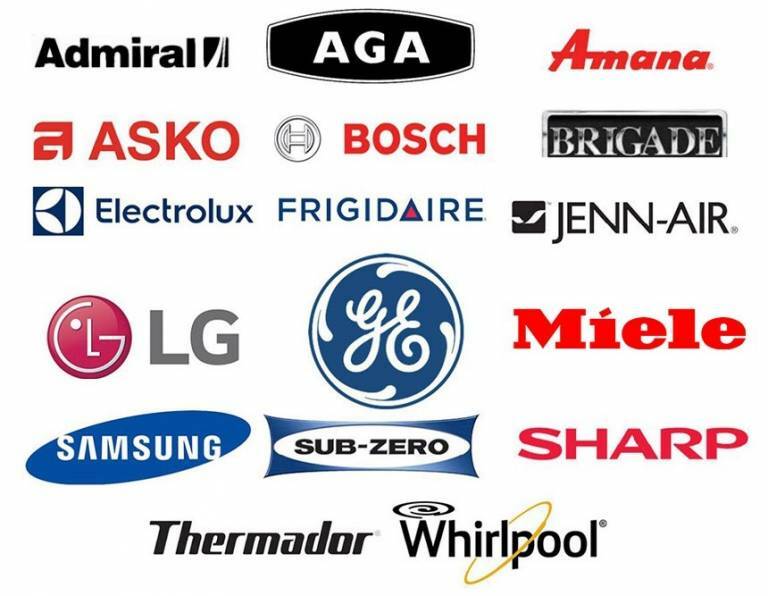 From Admiral, Samsung, Electrolux and Miele to other, smaller brands, we service all kinds of refrigerators and freezers. We keep extra parts and elements in stock for quick, effective repairs across Toronto & the GTA. It is imperative to hire a trained and liability insured company. We cover any and all damages and faults, and we offer a follow-up service if necessary. We never compromise the quality of spare parts used, and we ensure quality service with a 100% money back guarantee. Our staff are trained to deal with every brand on the market, and they have a vast assortment of repair knowledge and expertise. Appliance Handyman has been in the industry for over 10 years; you can rest assured knowing that we will do our utmost to solve your problem quickly and efficiently. Appliance Handyman has faithfully served the GTA for the past 10 years. Our teams carry a wealth of expertise about all of your possible appliance problems, and we guarantee a quick and effective fix. With trained and insured technicians, same-day service availability, competitive rates and a service warranty, we are your number one choice for refrigerator repair in the GTA. Contact us today for a free estimate or to book your appointment with our phone number locally or book an appointment online. We are always more than happy to answer any questions you may have about your appliances or our company so call us today! Our refrigerator repair service areas include: Toronto, North York, Etobicoke, Scarborough, Concord, Thornhill, Vaughan, Richmond Hill, Markham, Maple, Woodbridge, King City, Aurora, Newmarket, Stouffville, Innisfil, Bradford, Barrie, Milton, Brampton, Mississauga, Oakville, Pickering, Ajax & more.